The media industry in Zimbabwe is struggling and facing many challenges including political interference, waning revenue streams, staff layovers, job redundancies and company closures. Some of these challenges are not unique to the country but being experienced the world over. The Zimbabwean media industry is still very print-centric and hesitant to adopt new technologies. The Information and Media Panel of Inquiry (IMPI) report released in March 2015 did not allay the fears. It’s a document of the past lacking in vision for the future. The vulnerability of the media industry has made it susceptible to government control and manipulation. Many Zimbabweans have become wary of state propaganda. And this has led to many Zimbabwean citizens, especially in the Diaspora, to appropriate new media channels — blogs, websites and shortwave radio — to counter state propaganda churned out via the mainstream state controlled media. NewZimbabwe.com was one of the early news websites to operate from London, and many clones have since sprung. Unfortunately, most of these are aggregation news sites which are doing a disservice to Zimbabweans who are hungering for a better social and political reality. They have unwittingly been in service to a government they despise by circulating its propaganda without challenging or interrogating it. 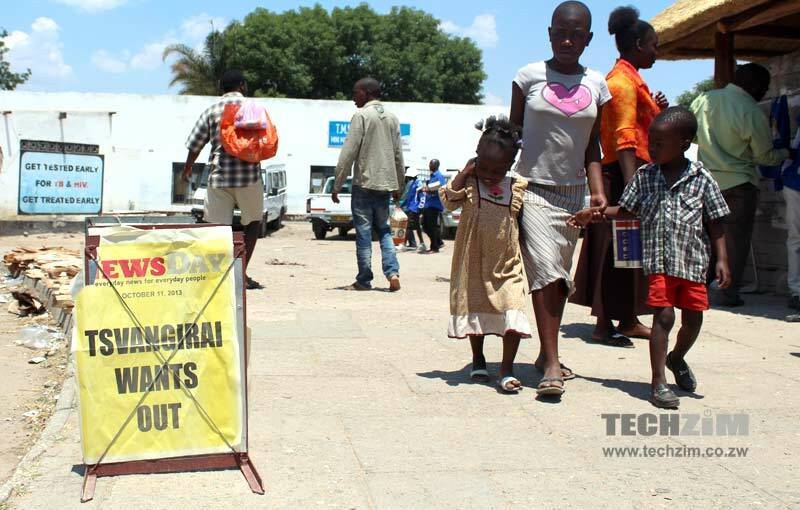 By re-sharing some of the contentious content published in The Herald, The Chronicle and other Zimpapers titles, they are validating the propaganda. Aggregation is an art. Aggregators have the power to influence an audience by proposing what matters, by guiding readers to reliable sources, and by keeping them company as they travel through the noisy news sphere. But that power is derived from originality. More often than not, if you have seen one Zimbabwean news site, you have seen them all. It could just be that most of the news platforms focusing on Zimbabwe are run not by journalists with real editorial sense or training. Their focus is on click bait — emphasising those stories that scandalise or sensationalise — to attract traffic and advertising. Then there are the others who do more than just aggregate but who are also purveyors of speculative and unverified stories because they go viral and easily shareable on social media. Of course, living in a country run by a 92 year old whose mental and physical acuity may be reducing due to old age, speculation is abound. Over the last decade Mugabe has died and risen many times. The best aggregated material must introduce us to new people, make us see the same places we inhabit with new lenses and tilt the landscape so that we can see it differently. That process involves distilling the terrain into a single point of interest. The product must bring original perspective to the news of the day, by surprising us, provoking us and beckoning at us regularly. Over-aggregation has devalued Zimbabwean journalism. If everybody is aggregating the same content, who is left to make original content for others to aggregate? None of the news aggregators seem to have long term plans beyond now. The move by Zimpapers to block content from its news sites from being easily copied was not a wise move. Though these news aggregators may be free-riding, Zimpapers actually benefits as its content benefits wide circulation and gains legitimacy it would not have were it solely on their platforms. If the Zimbabwean media is to grow, we need more than aggregators but innovators. News is going through a massive evolutionary phase and finding and supporting the right talent, rather than fearing change, is going to be the key to success going forward. There’s a risk of confusing aggregation with IP theft. Limbikani is absolutely right. A lot of Zim sites do not aggregate, but steal content. I disagree that this benefits the original content producers in any way. Content thieves make money through Adsense and other advertising platforms from the traffic they get hosting other people’s work.